For this project we used Marine grade 316L Stainless Steel with a Satin Nickel Finish. The wood is IPE that was steam bent onsite. 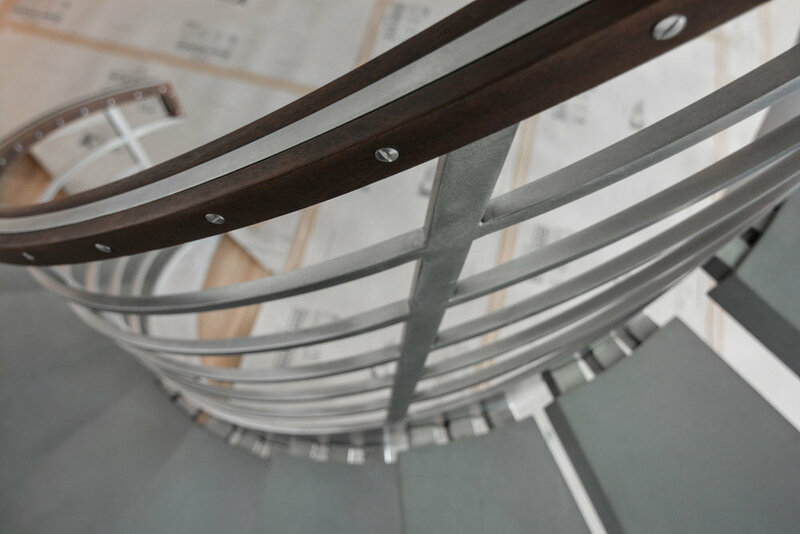 Each step is supported by 3 2x2 stainless steel tubes. The helix needed to be self supporting structurally in the horizontal direction. In order to stiffen the cantilever we used steel tubes. We had to engineer a special landing to avoid the preexisting sprinkler system lines. The base of the staircase is hidden under the wood floor to give the apperance of free standing.